Random Thought #1: What do White People like? "Stuff White People Like: A Guide to the Unique Taste of Millions. They love nothing better than sipping free-trade gourmet coffee, leafing through the Sunday New York Times, and listening to David Sedaris on NPR (ideally all at the same time). " "They pretend to be unique, yet somehow they’re all exactly the same, talking abut how they “get” Sarah Silverman’s 'subversive' comedy (Personal note: Her show is on my DVR record list). They are also down with diversity and up on all the best microbrews, breakfast spots, foreign cinema, and authentic sushi." "You know who they are: They’re white people. And they’re here, and you’re gonna have to deal. 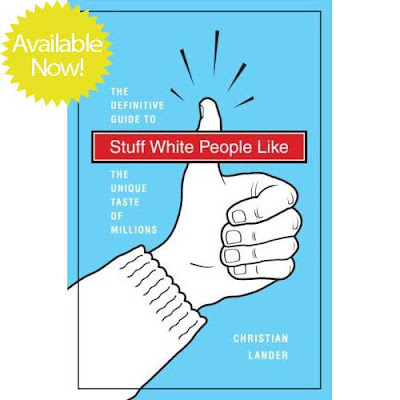 Fortunately, here’s a book that investigates, explains, and offers advice for finding social success with the Caucasian persuasion. So lose yourself in the ultimate guide (featuring brand-new entries and extras!) to the unbearable whiteness of being. " Here is a partial list of Stuff White People Like. Sound like anyone you know? "On March 17th,(white people celebrate) St. Patrick’s day. This very special white holiday recognizes Saint Patrick, the patron saint of Ireland who helped to bring Catholicism to the Emerald Isle. His ascetic life is celebrated every year by white people drinking large amounts of Irish-themed alcohol and listening to the Dropkick Murphys. "Most of the time, white people consider celebrations of European heritage to be racist unless they omit large swathes of the 16th through 20th centuries. But since the Irish never engaged in colonialism and were actually oppressed it is considered acceptable and encouraged to celebrate their ancestry. For this reason, 100% of white people are proud to claim that they are somewhat Irish." 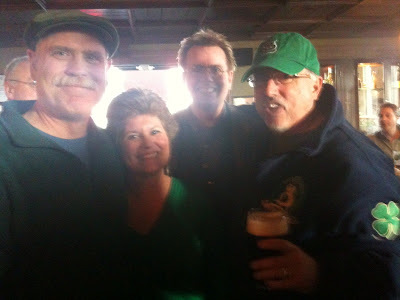 Random Thought #3: The day after St. Patrick's Day should be a holiday. Random Thought #4: There should be a Patron Saint for people with hangovers. Did you have a bit much to drink last night during your St. Pat's celebration? You might be interested to know that the patron saint for people suffering from hangovers is Saint Bibiana (or Viviana). 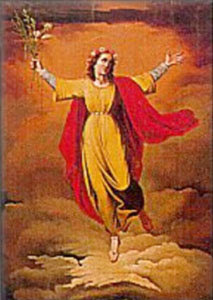 Bibiana was a virgin and martyr who died around 361. And how did she come to be associated with relief from hangovers? Here is one possible explanation: Because the Spanish pronounce the letter "V" as the letter "B", Saint Viviana's name which means "full of life" (Latin vivo) was thought by them to mean "full of drink" (Latin bibo). Consequently, the Spanish invoked Saint Bibiana's name against hangovers. Or, here's another possibility: A church was built over her grave, in the garden of which grew an herb that cured headache and epilepsy. This and her time spent with the mentally ill led to her areas of patronage. Random Thought #5: Three sheets to the wind doesn't refer to the sails of a ship (not exactly, anyway -- something else I didn't know until yesterday). Usage: He'd been at RiRa's for three hours, and was three sheets to the wind by now. Explanation:Taken from sailing a square-rigged sailboat; square sails had four sheets (the ropes attached to the corners of the sail) to control them. If one or even two sheets went "to the wind" (meaning flapping in the breeze and hard to retrieve) the boat was still quasi-controllable. However, if a third sheet was lost to the wind, you had no way to fill your sail and were essentially out of control. 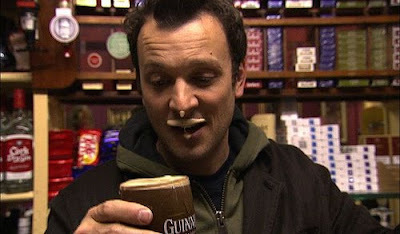 Random Thought #5a: "Three Sheets" is an international travelogue/pub-crawl television series. Random Thought #5b: We need to contact this guy and offer him a Knightship! Random Thought #6: I should conclude this post! we have to find a way to make a project show like Zane's...have passports, and suitcases...need unique ideas and investors! whose mother-in-law and daughter are both Rileys...yes, I am from Kentucky...but they are Hoosiers! Excellent Post Sir Bowie! I had to pray to Saint Bibiana at 4am the next day as I drove to the airport to fly to me nieces wedding in Florida. Recovered this morning! Fine celebration we had. I absolutely have no Irish in me, which is a constant source of humiliation when I'm surrounded by Lady Allwinky's family and friends, who are 100% off the boat Irish. 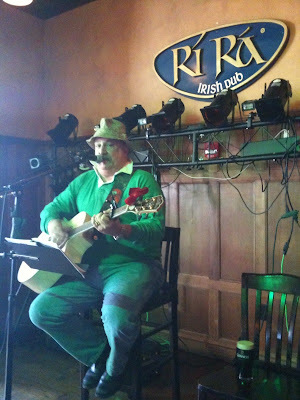 As I stated at RiRa's, I had to adopt the policy of Long Shanks in Scotland and breed my way in! LOL! Aye, I'm just a good Englishman with a dash of German and Cherokee for spice! Love "Three Sheets", I been watching that series on MOJO HD for three years now. 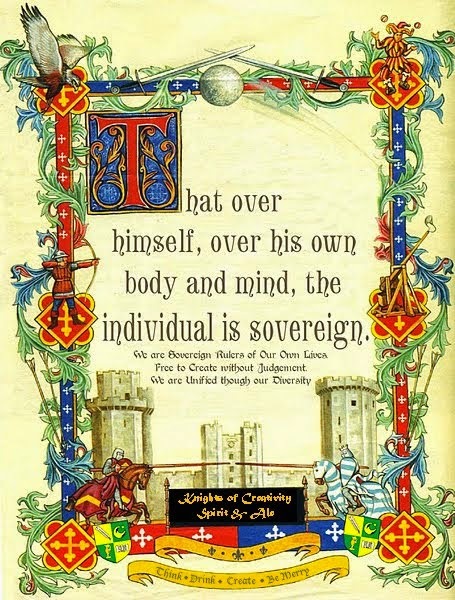 Source of inspiration for Knight Time. And yes, we have to invite him...I'll get on that. Now, off to the sunny beaches to show off my awesome physical features...or not! That wasn't rambling at all. 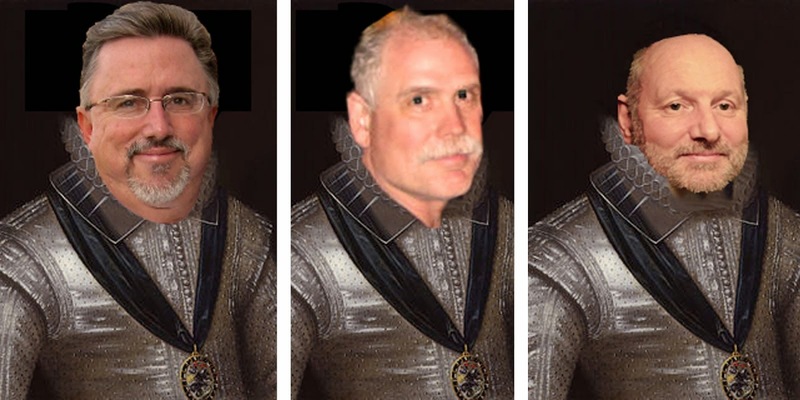 Which reminds me that I was looking for a geocache when I heard about the Zane Lamprey show and later e-mailed Sir David who had already heard it which was a Synchronicity I was going to record but couldn't remember until just reading this now. I've been three sheets to the wind, I have worshiped the porcelain god and swore I would never touch the sinners' whisky again, but I've never had a hangover. And I'm all Southern Indiana Hoosier decent.